Filipinos love to eat. Food is something that tells about our culture and relationships like, the part of the chicken you receive in buffets depends on your rank in society, and the place where you sit during meals also commands how people shall treat you. We love to eat but we like them cheap. 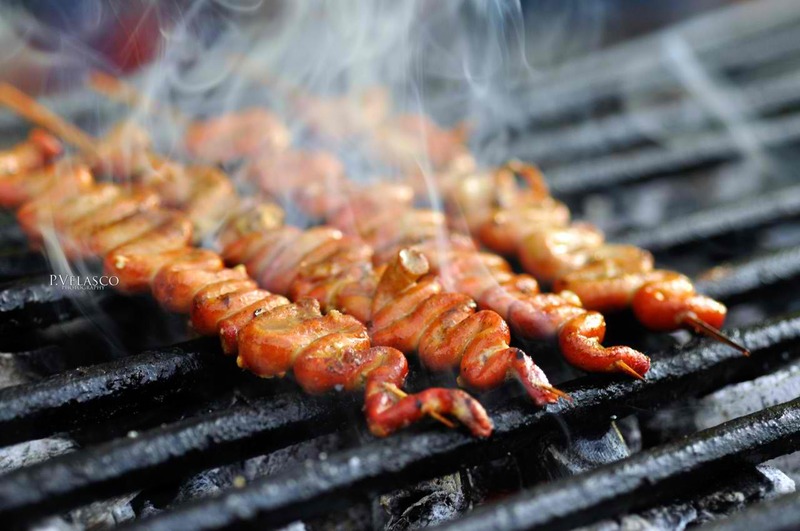 Here are some cheap thrills Pinoys like munching on too. They are street food but they are so delicious! It is chicken or pig intestines cleaned several times then grilled. Or fried. We dip that in vinegar and you find them almost anywhere! Sold in roaming carts and fried as you order, these are fish meat rolled into thin discs and are usually crunchy. 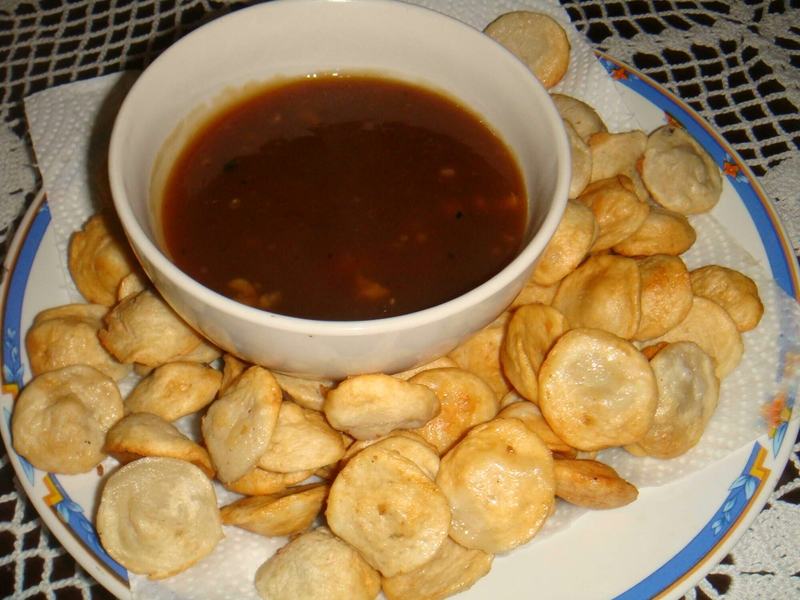 We dip them in sweet or chili sauce. 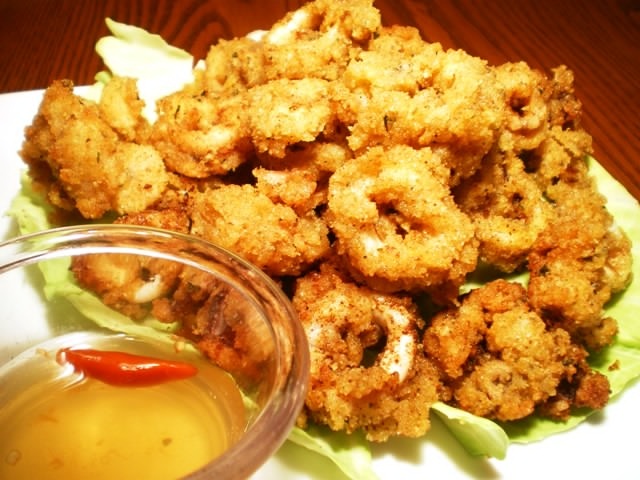 Our very own version of Tempura. 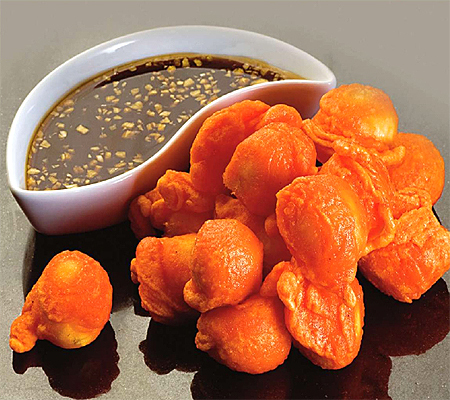 It is quail eggs covered in orange coating. (Yes, we do not know what they are made of) they are deep fried and sold in sticks of three. Crunchy and… Squidy! These are squids dipped in coating then deep fried. We eat them on their own and dip them in vinegar or we eat them as ulam with rice. 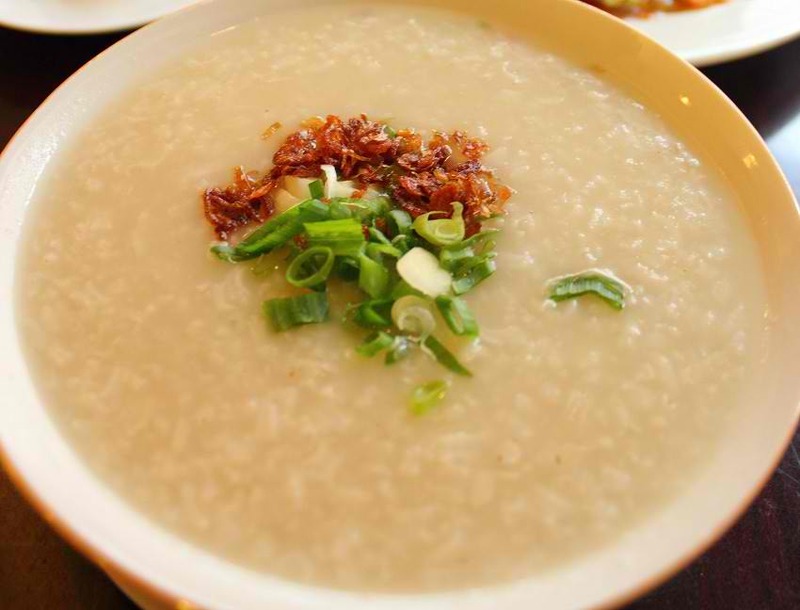 Congee or porridge this is sticky rice cooked in chicken broth with ginger. Pinoys like eating this plain or with other toppings like egg or chicharon. You can even eat this with all the other food enumerated above! We like it so muchwe have the so called “unli lugaw” or eat-all-you-can! Haha yes! They are so yummy!